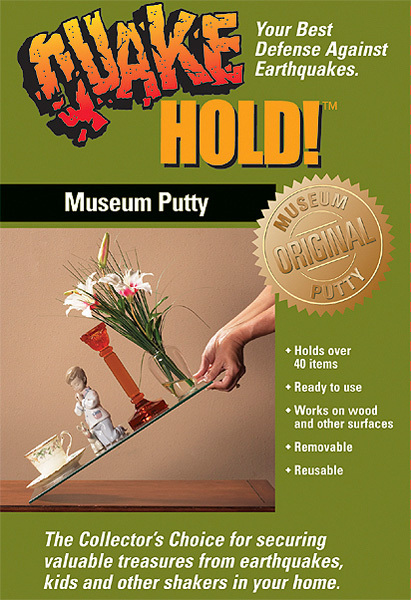 Museum Putty is an award-winning product that secures antiques, collectibles, figurines and more from falling and breaking. This is perfect to protect valuables during natural disasters. It can be used on most surfaces, including ceramics, porcelains and laminates, as well as on walls to help stabilize pictures. It comes ready to use in a two-and-a-half ounce flat sleeve, just pull off what you need.Roll the putty into small balls (about the size of a pea), or strips, and apply to the base of an item. Press down lightly and twist into position. It sets within 30-minutes and comes off cleanly with no mess. To remove, simply lift and twist from the bottom of the object. 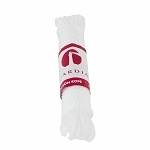 One packet will secure up to forty items of average size.